Copper. It's not going anywhere. Vectoring, a technology that eliminates crosstalk on a broadband DSL line, can boost speeds on existing copper to up to 100 Mbps. And apparently service providers are really interested in testing it out, according to Telebyte, a Hauppauge, New York-based company that just launched the first gear capable of testing how well vectored VDSL2 lines can perform. Michael Breneisen, president of Telebyte in an interview with GigaOM shared details about the company’s new gear, which vendors are champing at the bit to use to boost their DSL in order to prolong the use of those assets while laying fiber. 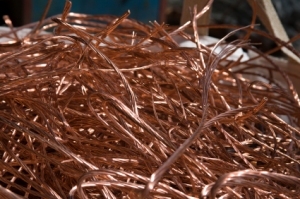 There are miles and miles of copper networks that might never be economical to upgrade to fiber. He said the product has seen interest in Europe and the U.S. and says a telco such as AT&T (s t) could even use vectoring to upgrade it’s DSL product without investing in new wires or equipment. We have covered some of the advancements in DSL technology in the last few years, so from a technology perspective Breneisen’s excitement makes sense. However, we have also covered a waning interest in DSL from major U.S. providers. Verizon (s VZ) sold off many of its DSL lines, and even AT&T doesn’t seem interested in upgrading — instead those players plan to sell wireless broadband. However, DSL is deployed around the world, and in the U.S., CenturyLink (s ctl) and Frontier have millions of old lines. Perhaps, this is way they can more easily get with the times and upgrade their lines. It’s just more Vaporewave. for me. All of these so-called technologies the promise to extending the life of aging copper, never deliver same speed results in the real world. I hope verizon adopts this . Here on long island verizon refuses to continue rolling out fios. There are big chunks of long island (some parts with multi million dollar houses) that do not have fios and just dsl. This tech can get verizon to atleast update its dsl. Do they like letting cablevision get all these customers because they have no competition? This could be good news for pricing, as Steve K points out. It also may help those who are on a budget and can’t afford the significant higher costs of cable/fiber…in fact, I’d consider downgrading my FiOS connection to DSL if I can get something like 5/5 Mbps…I don’t need much. Maybe the threat of this will get Comcast to be more reasonable with their pricing. Here in San Jose, ADSL2 is half of the same rated bandwidth though Comcast, once all the limited time offers have run out.